We’d love your help. Let us know what’s wrong with this preview of Lifeblood of War by Julian Thompson. Identifies the essential elements in successful supply and how campaings have suffered due to logistic deficiencies. 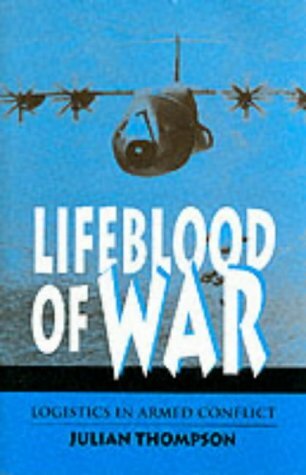 To ask other readers questions about Lifeblood of War, please sign up. Major General Julian Harold Atherdean Thompson, CB, OBE is a military historian and former Royal Marines officer who as a brigadier commanded 3 Commando Brigade during the Falklands war. Thompson, who was British commander on the islands during the final phase of the conflict has written extensively on the Falklands conflict and British military history. He is also a visiting professor at the depar Major General Julian Harold Atherdean Thompson, CB, OBE is a military historian and former Royal Marines officer who as a brigadier commanded 3 Commando Brigade during the Falklands war. Thompson, who was British commander on the islands during the final phase of the conflict has written extensively on the Falklands conflict and British military history. He is also a visiting professor at the department of War Studies, King's College, University of London.